Can't attend? Follow Japanいろは塾　Handmadeものづくり好きの会 to know of future events! Please come with your friends and family! · Photo corner ※ It is OK even for casual wear! 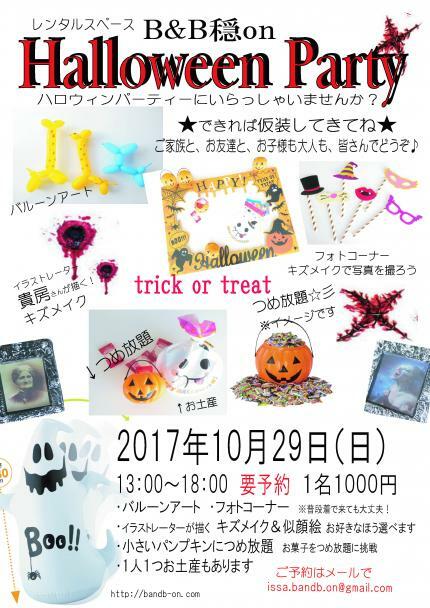 · "Wound make-up or portrait painted by illustrator"
At the title "Halloween party reservation"
Please email your name, number of people (adult, child).